Hello guys, My second article will discuss Architecture Sets! As a reminder, the first one summarized my experiences with buying second hand lego sets and bulk. 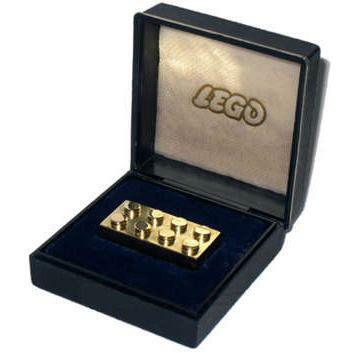 Even though the conclusions were probably predictable to many veteran BrickPicker, for me jumping in the water of the secondary hand lego market was the best way to learn where the culprits are of this trade. For those who are not interested in discovering the tips, I can summarize by telling you I live by the NICHE rule now: Net Incoming Cash per Hour of Effort. In other words: I'm building a stock of MISB sets. And that brings me to the main topic of this second blog: what to buy and what to leave out? Are Architecture sets worth it? The name of the trade for me is more than just buying up large 'licenced' sets at discounts and wait for 2 years. I want to work out what sets could be sleeping under the radar and get those right. Maybe 'Architecture' fits that bill? I'm not sure, but lets find out! And let's see if my analysis confirms whether "FallingWater" could be the investment in this space or not... Investing is all about getting a lot of cool quality product at the brink of the retirement date. The "sleepier" the set, the better. As not many investors will be 'panic buying' it when it is gone, and you'll have ample time to stock at attractive prices. Therefore this article will explain why I think Architecture is sleeping. Second, I will show you why retirement has very much arrived and what it has and could mean for a couple of sets out there that you can still stack at reasonable prices. Through the article, you'll find reasons why people like and dislike these mini-buildings. Personally, I started off disliking it: too expensive, small, wrong scale, no playability, boring colors... But once I read and researched them, I also saw the positives: High quality, artistic, nostalgia, some luxury aspect, souvenir-like, easiliy show-cased, beautiful booklets, attractive collector items, strong design aspect, rich end-customer, sustainable demand from tourism... As you can read on the forums, the jury remains undecided on Architecture. In fact, many invetsors are frustrated as the retirement for these sets wasn't the "classic" two years. And this is a good thing. It means there could be some undiscovered jewels yet, waiting to be bought cheaply and sold for a fat margin by the smart first mover. My interest got particularly triggered when I saw how 21016 Sungnyemun behaved: the set was retired and rapidly doubled in value. Why? Is there a parallel for other sets possible? I never really looked into Sungnyemun, but I should have. Let's not miss out on the others - so I think. And that's what the article is about. 1. A mediocre track record. Let's start by looking at the numbers above. The CAGR rate from BrickPicker's site is +11.27%. Therefore this theme sits just below the average 11.41%. Perfect! That means many investors will look elsewhere. Obviously the picture could change as more sets come EoL. Sungnyemun and the first Sears Tower just to name a few made very good progress once taken off the Lego-factory production line. People who bought the Robie House below RRP can sell it today at 200E. That's nice, but only for investors who waited for a discount in 2013 to get in. Most sets carry a premium price tag. It feels they are "luxury toys" for less price sensitive buyers who would after visiting one of the World's Wonders buy a 50$ lego-souvenir. It should come as no surprise that the 21021 Marina Bay Sands which was sold exclusively in Asia targeting tourists and testing demand for very exclusive sets is trading above the 100E mark. If tourists are ready to buy a 40E catalogue after a visit of Guggenheim in NY, it makes sense they also could buy a little Lego-building as a souvenir to bring home to family and have the booklet with stories, pictures and history added for the same price. Millions of tourists visit Paris, London or Sydney every year, therefore there should be continued interest. Once the production line stops, demand could start outstripping supply and trigger a new price equilibrium. 4. Part out value: negligeable No need to mass-acquire architecture sets for their parts. Many sets use very basic bricks and cost as much as the bricks themselves. A traditional store will look for part out values twice the amount of dollar value of the set. We can be pretty sure that the market isn't going to be flooded with the rare flat name tiles of the buildings. One can only hope that these 4 reasons will be sufficient to make these sets fly once they are end of line. The only risk of them being 'bad sellers' is that the entire concept would be stopped. That would hammer investment returns, as the longer "Architecture" would exist, the more adult fans it would generate, the more collectors would want to have the entire series, and the better the returns. Based on the comments on their website, lego's commitment to sustain the line is there. The challenge for the architecs is to come with a minimalistic approach to make scale models with small bricks. This was an idea started in the 60-ties and rediscovered 40 years later. 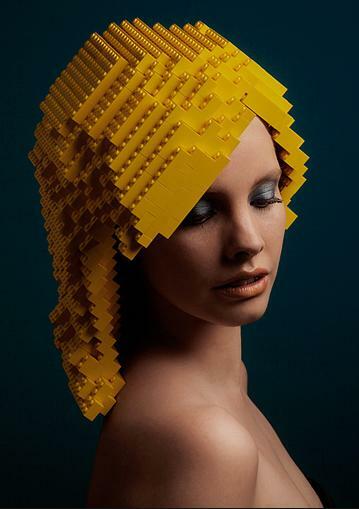 Through its partnership with Chicago architect Adam Reed Tucker, the Architecture line - reproductions of iconic buildings rendered in Lego was launched in 2008 with the Sears Tower. My best guess is that all future creations will keep that"artistic appeal" and serve to enhance the brand image of the lego group accross all ages. I also gave customer service a call, asking them whether Architecture Studio would come to Europe. They confirmed it would be available during Q3 2014 (the soonest), and that demand for this set in Europe was huge, reinforcing their commitment to have more geographies tapping into the theme . And now comes the interesting part. There's a new wave of sets that have gone EoL. Will investors who are sick of waiting for FallingWater to retire, see their prayers answered? Three additional sets have already retired. Did you spot them too? Are they worth it? First of all, it's clear that Robie House has gone. It didn't take that long for this set to trade back at MSRP. Next gone are Lego Architecture 21004 Guggenheim Museum and Lego Architecture 21008 Burj Khalifa. And my best guess is that the 21009 Farnsworth House is gone too as there's no more stock in the US. The Amazon website give a similar picture. In fact, the Burj is already trading at a premium there, but not yet on BrickLink. If you want to get in, now is the time. A good buy is somthing you will be able to sell quickly with a premium. Obviously, that implies we need to look at supply and demand stats. Using 6 month data from Bricklink.com (up to May 2014), I tried to get a first impression on what is popular and what investors have overstocked. remains under the radar for now: it could be hiding "sleepers"
Thanks for reading. Hopefully, you will offer me your views on this topic as well. Nice article. 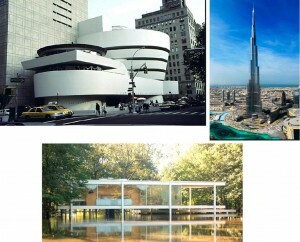 I like the architecture series a lot, but I'm not convinced it will make a good investment yet. I agree on your points 4 and 5 but you also mention: "1. will do well EoL: Robie, Sungnyemun, Marine Sands are recent proof of this" Two of these sets are special cases, Sungnyemun had a short lifetime, and Marina Sands was only sold locally. This could be the reason they do wel. So I dont think there is much proof yet. Also predicting retirement seems difficult for this series, since Sungnyemun (2012 set) and RObie (2011 set) are retired already while many 2010 and even 2009 set are still around (Empire state, Falling water, White House for example). Just my thoughts. Yeah maybe I should have said: "Like you, I’m not convinced it will make a good investment yet." I do have a couple sets for investment purposes, hoping this theme will indeed be a sleeper. What I like about the series is there are not too many sets (yet) so it is fairly easy for collectors to own the complete series, exept for the retired sets, and this is where the investors come in to play. Great article , United Nations headquarters #21018 is limited to 5 per house now, this could be a sign that this might go EOL soon.